On cool spring nights a sweater can make all the difference. Wearing a coat may be too much, and wearing just a t-shirt may not be enough to stay warm. The sweater in such cases becomes the perfect balance. Teenage Sweater is the equivalent in the music scene, and their new EP Kewl will keep you interested and happy throughout the listening experience. Although just a two-man group, Teenage Sweater commands a presence that normally belongs to a larger group. Mario Ruiz and Connor Alfaro come from different music backgrounds, but fused together they create masterpieces. Mixing Punk and Rock with Electronic makes for some interesting tracks. 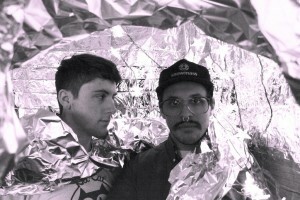 Tracks like “Bored Cop In A Small Town” are diverse and comprised of heavy genre mixing. A more lucid approach is taken in “Coconut Water”, which displays the group’s ability to write disparately. With the quality of promoted music declining, Teenage Sweater is breaking the mold. 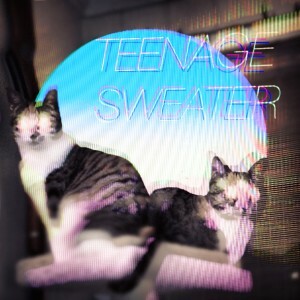 Putting a spin on the ever-expanding electronic music scene, Teenage Sweater is a diamond in the rough, Kewl being their greatest collection so far. Seemingly designed for the deep-minded listener, Kewl can transport you to any desirable destination. Close your eyes and imagine your own paradise. While you do that, listen to a little Teenage Sweater, and notice how much longer you can stay in that paradisiacal state. Comfortable and warm in your sweater, I bet you feel…. Kewl.